Brown Brothers Grave Location a photo by midgefrazel on Flickr. 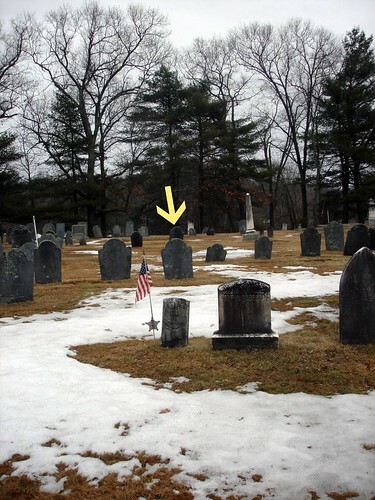 As you can see by this distance shot, the grave of the boys is located in a row in about the middle of the cemetery. There is no grave for the parents in the same row. The grandparents are buried in the row directly in front of the boys grave. They died after the fire in 1771 and 1772.